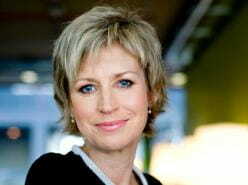 The debate will be chaired by well-known TV presenter, Sally Magnusson. With ballots before and after the debate, this will be a unique opportunity to directly gauge the views of an important voting audience. My Pinkie Promise are absolutely thrilled to be able to support & promote this event. There will be few opportunities for women in business to attend an event to hear a facilitated debate & be able to question Scotland’s leading female politicians in the run up to September 18th, so please register for the event and get involved. We very often hear that as business owners and professionals, that we’d like more information on the referendum, so take this opportunity to find the answers to your burning questions – don’t wait for others to make your mind up for you! If you are a member of Women Ahead, the Dundee & Angus businesswomen’s group, they are laying on free transport, so its well worth getting together and going through to Glasgow.